What does a young boy do when unexpectedly encountering a seedy-looking stranger in a back barn on his uncle’s farm? A story about not judging by first appearance, friendship, acceptance, farm life, the secrets of scarecrows, and more. Sunday. Thinking back, yes, I believe it was a Sunday. An exceptionally warm day as I recall now. Maybe even a little hot for an early October morning on my Uncle Coley’s farm outside McKittrick, Missouri. I had traveled out to the country that morning with my parents to visit and look for a Halloween pumpkin, and we were not surprisingly recruited into digging sweet potatoes from the field and storing them in the root cellar. “Gotta beat Ol’ Jack Frost!” he barked while bringing the mules up to hitch. It seems Uncle Coley always had a “helping out” chore to “lend a hand” on when visiting. Cleaning out the chicken coup one time was a doozie, but that’s a different story. Hitch up a pair of mules, Old Jack and Josephine, to the splintery old wagon, hang on and bump along downhill to the sweet potato field over what could only generously be called a dirt “road”, dig sweet potatoes and chuck them up and over into the bed of the wagon. Bump and thump back up the hill to the farmhouse on the bone-shaking wagon, stopping here and there to jump off the wagon to pick up potatoes that had been bounced off, and then unload and carry them by the bushel basket down into the cellar for storage thru the coming winter months. I didn’t even like sweet potatoes back then, but being a young boy playing with mules and a wagon was fun. Hard work, but fun. And yes, it was definitely a Sunday. I remember now — that sweet potato digging, dusty, dirty, hot autumn Sunday with the mules and the rickety wagon. That was the day I first met Haystack Harry. I met Haystack Harry on a Sunday. Dispatched to the old decrepit barn in the far back lot to fetch even more empty bushel baskets to fill with sweet potatoes and carry into the cellar, I entered the dimly lit barn and there he was. Standing in the shadows atop a mountain of hay bales stacked in the back corner of the barn, he looked like Captain Hook with a long, sharply pointed hook at the end of his right arm and a sword tucked into his belt. The hook glistened menacingly in a ray of sunlight through an opening in the old barn roof. Being a city kid from a South St. Louis neighborhood and only eight years old at the time, finding myself unexpectedly confronted with Captain Hook’s country cousin alone in a barn admittedly gave me a jolt. A tall, gangly, somewhat seedy looking stranger with a hook for a hand! And a sword! Kid-sized imagination running wild, I instantly decided we already had enough bushel baskets. A haphazardly placed pitchfork clumsily knocked over as I tried to back unnoticed out of the barn broke the silence and announced my arrival. Hearing the unexpected clatter, he turned instantly and caught sight of me. To my horror, the hooked figure immediately leaped off the hay bales and in three quick steps was standing right in front of me. I felt like a flightless Peter Pan without a sword to defend myself, and couldn’t have found a happy thought to fly away if it had been covered with candy corn and chocolate bars! “Haystack Harry! Happy — to meet ya!” he exclaimed, just short of a yell. He passed what I then saw and later learned was only a large hay hook into his left hand, and then proceeded to thrust his right out towards me to shake hands. “What’s your name?” he asked deafeningly, his right hand extended out towards me at the full outstretched length of his arm. Ears ringing and still shaken, looking up at him there was something unusual that I sensed but did not at firsthand comprehend. He had a very big, wide, friendly and disarming smile, grinning affably from ear-to-ear as he stood there in front of me, which was momentarily comforting after the initial fright. But wait! Ear-to-ear? He has no ears! And his hand. Both hands! He is wearing dirty white cotton work gloves and they’re huge! Enormous! His hands look like Mickey Mouse’s big hands at the ends of long skinny arms. And he has straw coming out of the end of his work-shirt sleeve! And more straw from under his hat! And from between the buttons on his shirt! What?? Alarm and trepidation began anew! “Who—what—are you?” I somewhat rudely blurted out while trying to gingerly step back but finding myself unable to move from fright. Frozen to the spot on a hot day, I couldn’t have moved a muscle if covered by fire ants. “Haystack Harry! Happy — to meet ya!” he instantly yelled again with almost ear-splitting volume while still holding out his hand. Unnerved. Yes, as I stood there shaking like a dry leaf on a windy day from his hair-trigger and loud-voiced response, one could fairly say that I was unhinged. I just stood there as if glued to the ground awaiting imminent death or deafness, unsure which would happen first. Legs not responding and totally discombobulated, I tried to flap my wings to fly away only to remember I didn’t have any. Still no happy thoughts. “I am — Haystack Harry,” he repeated in a reassuring tone and just a little less loudly. “Welcome to — my barn.” He turned his head and gestured expansively with the hay hook in his left hand while looking about over his shoulder, proudly showing off his domain and as though with the wonderment of taking it all in for the very first time himself. He spoke haltingly, disconnectedly, and loudly. But also kindly, and my fears began to subside if just a tiny bit. “I am — a scarecrow,” he continued. 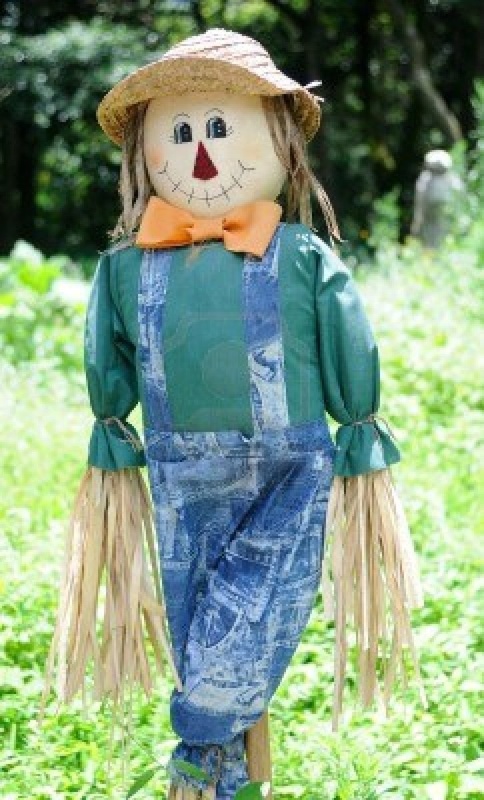 “Well — during the summer — when the corn is growing — I am a scarecrow — workin’ the fields — ya know. Sometimes the gardens — or the sorghum and — other plantin’ fields. But mostly — the corn fields. Not now — of course — that’s done for this year. But in the high corn time — I work out in them corn fields — standin’ out among the cornstalks, mostly — all day — waitin’ for the pesky crows to come around — to steal Farmer Coley’s corn — and then chase them away. Well — try to — sort of — anyways. 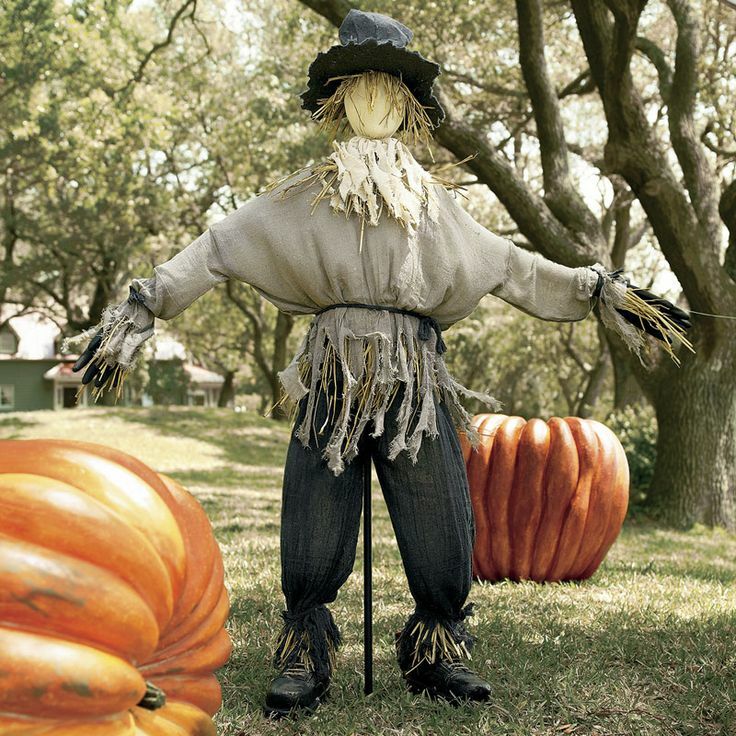 Seems — I’m not the best at it — compared to other scarecrows around. And with that, he burst into a loud, long laugh that grew and echoed throughout the old barn for what seemed several minutes. “Oh, that ol’ lop-sided scarecrow!” he cackled. “One Armed Willy sure does put a fright into them crows for sure!” And he laughed on. After finally regaining composure and catching his breath he continued, with me at the same time standing there not quite sure what to make of him while simultaneously trying to decide if running out the open barn door behind me still remained an option. Yet my feet remained unresponsive, as though anchored to the barn floor somehow. “I don’t like — to beat off the crows or harm any. Nah. No good there. Them crows are same as you an’ me — just out and about lookin’ for a meal, ya know — with babies and little ones — in the nest — to feed. Just not in my field. I go runnin’ after them a-yellin’ — “I’ll have to shoo you out of here now! Go on! Fly away!” And mostly — they do.” He paused, and gazed out the door for a few seconds as though lost in inner thought. And then returning his eyes to me came roaring right back, refreshed to talk some more. Transfixed by everything about him I had not realized, but indeed, Haystack Harry had been patiently holding out his right hand for me to shake all the while explaining who he was and what he was about. “My name is Jim,” I answered somewhat meekly as I went to shake his hand, thinking to do so gently and being careful not to pull it off, him being a scarecrow after all. And I had just heard about One Armed Willy. But gently is not how Haystack Harry shakes hands. Before I could react, he was pulling my hand up and down like a pump handle until I feared it would be my hand and arm coming off! “Ha! There it is!” he exclaimed, at long last releasing me. “Now we’re properly — introduced. We’re friends. Welcome to my barn — Friend Jim. 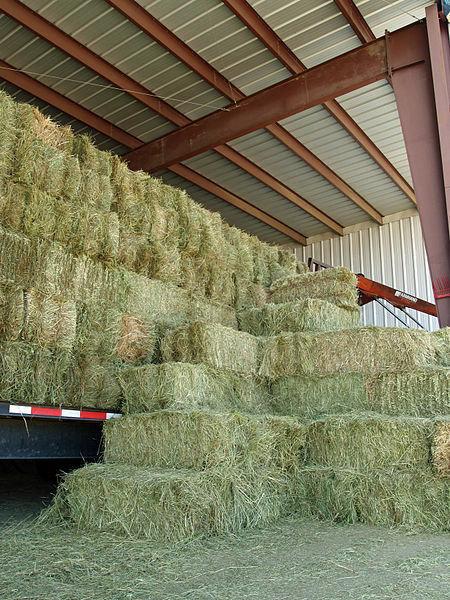 Set yourself down here — on one of my hay bales — and let’s talk,” he stammered while reaching for two bales of hay and pulling them over into place with the hay hook. After having been seemingly riveted in place for so long, as I stepped forward to take a seat my legs were like jelly. I abruptly found myself falling face forward towards the barn floor, having stumbled once again over the errant pitchfork. But before I splattered on the ground nose first or was even aware of what was happening, Haystack Harry had caught me in mid-air sprawl and stood me upright again. Fast. Freaky fast. But surprisingly, somehow not scary fast now. 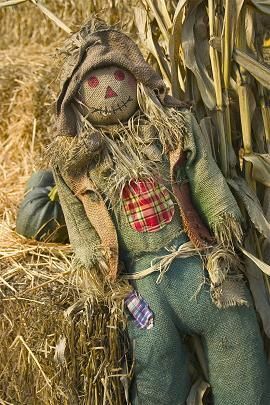 There was something about him that was reassuring, even if he was, unbelievably — a fully functioning and talking scarecrow. While still trying to fathom that fact, I said “thank you” and approached him at the hay bales. I then saw that what I had at first glance taken as a pirate sword at his waist was really only a beat up, old long corn knife tucked into his belt. The kind used for cutting down corn stalks at the end of the season and whacking thru heavy brush. It looked like it had been in use since the Civil War at least, with worn black tape and a piece of twine holding what remained of the wooden handle together. I took my seat on the bale next to his, realizing that I had now discovered something else about him — he was very loud and very fast. And just maybe, not so terrifying after all. And with that, he burst out again in raucous laughter, this time putting to flight an assortment of pigeons, swallows, and sparrows from the barn rafters. In my, imagination I envisioned him sprinting across a field in hot pursuit of cackling crows, his feet a red blur as in a cartoon and the crows caught totally unaware and scrambling over one another to get air-borne, with confounded crows and cast away black feathers scattering everywhere. Fear now having left out the door with the barn swallows and feeling more at ease, I began to laugh with him. But as so often happens, as anxiety left it was replaced by curiosity. It was at that moment that I understood that “Friend” was not just a word but to Haystack Harry my first name. Friend Jim and Haystack Harry. An eight-year-old kid and a scarecrow. Sitting on a couple of hay bales talking in a run-down old barn. Admittedly, I had never envisioned this headed out to the farm that Sunday morning. And who would ever believe me if I tried to explain it? “So, Haystack Harry,” I began once more, “how. . .” and he interrupted yet again, as I realized another thing about him. Scarecrows like to talk. It’s probably from being out in the fields alone for long stretches of time. Having initially feared he might hand-shake my arm off, I now began to ponder if Haystack Harry might talk it off instead, while at the same time in the back of my mind wondering if that is what had happened to One Armed Willy. But I was quickly jolted back out of my momentary daydream as he loudly commenced again, addressing the question before I had finished asking it. And with that Haystack Harry slapped both his knees and burst into uncontrollable laughter once again, and me with him, the cartoon scarecrow flashing through my imagination anew. And another realization came to me — a scarecrow, or at least Haystack Harry, likes to laugh. Long and loud. And then without breaking stride, he picked up again. “And we look like we do — with the straw — and such, just because we spend so — much time in the fields — and the outdoors — in the sunshine and fresh country air — that we just start — to become back to nature — in a way. That’s about all — there is to it — Friend Jim. Now, set yourself back — and let me tell you about somethin’ better and more interestin’ — all about them crows and corn. “I have several crow friends, ya know. Yes, I do. I do, and that’s a fact. They aren’t all as bad as folks think and let on, just hungry. And smart! You wouldn’t believe — how smart them crows are. They can learn to talk like you and me, and some — even use tools — to open food and such. And some, Friend Jim — even make stick tools — to poke and pry grubs and insects out of logs. Can ya beat that?!? 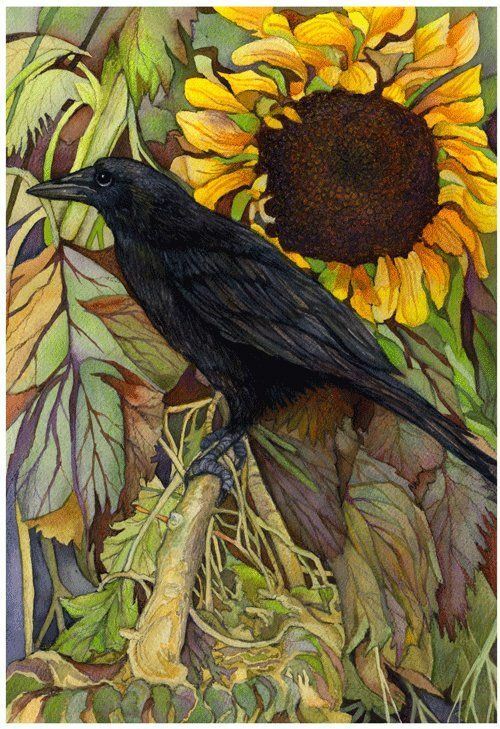 “And don’t ever make — a crow mad at you. Because crows are so smart they can remember one person’s face from another — and tell the difference. I talk to the crows about helpin’ out in the fields — and not just a’ hangin’ around — moochin’ off the workin’ folks — but I suppose that workin’ and helpin’ are just — not in their nature. And that’s all right. We are all who we are, after all. They’re thinkin’ about it — tryin’ to figure out — what they can do to help — talkin’ about it amongst themselves — so we’ll see. “Ya know, I think if folks — took a bit of time — to learn more about others and try to get to know them — they might find they’re not as bad — as they’d imagined. We’re all different in a way from anyone else, and that’s — what makes everyone so interesting. Don’t ya think, Friend Jim? Not always different in a bad way. Just — different. And when you get right down to it — not really all that different in the things that matter most — after all. But I’m just a scarecrow. What do I know? Ha!” And Haystack Harry roared into laughter again. With that, I recognized that after only a few minutes and knowing virtually nothing about me yet, that in Haystack Harry’s mind I was already an accepted and trusted friend. And I felt good about that, wondering why more folks aren’t as friendly and accepting. Then Haystack Harry began my education in ‘Country Living and Nature’. “You just said that,” I reminded him. And thus began my lifelong friendship with Haystack Harry. We talked for quite a while in the back barn that afternoon, interrupted by frequent and loud outbursts of laughter, as scarecrows have a dandy sense of humor. And like Haystack Harry showed me, they notice things we pass by. And a lot of those things are funny, although a few are maybe helped a bit looking through the eyes of a scarecrow, to be honest. My parents took care of loading the rest of the sweet potatoes into the cellar, which I heard about at some length later in the car on the way back home to the city that evening. But it was a great day nonetheless. And all the years after. Visiting and spending time on Uncle Coley’s farm, I learned about crows and made friends with a few. And Haystack Harry taught me all about corn — white, yellow, bi-colored (my favorite), black, multi-colored Indian field or flint corn, sweet corn, popcorn, feed corn, and more. All about how the Native Americans had introduced corn to the Pilgrims and taught them how to plant it. How they called it ‘maize’ and how it was one of their main foods, how they prepared it and ate it at almost every meal. Haystack Harry showed me how to hook up the mules to the corn binder for harvesting. The many uses of cornstalks and the best way to put together a corn shock. And all about loading and storing the feed corn in the corncribs and why they’re built like they are. And about sorghum and making molasses. And all about scarecrows. And about how One Armed Willy really got his name (don’t ask). And all about haylage and silage and types of hay. And all about hay bales — rectangular bales (Haystack Harry’s favorite “’cause they’s the best stackin’ bales” as he said), round bales (“they roll — fun but they’s powerful hard to stack”), and cubed bales (“boring — they’s all the same, but they do stack well!”). And all about the endless and myriad ways to stack them all. And hayrides. And all about a town in Missouri where Haystack Harry grew up, called Hayti (yep, you guessed it — pronounced ‘Hay-tie’). And about going down to the creek branch to look for Indian arrowheads after a good rain. How to identify the trees in the woods even in the winter without their leaves, and how the leaves change color in the autumn. How observing the birds and animals can tell you all you need to know about the weather and danger. All about life in the country and outdoors. And most importantly, just by being who he was, all about not judging people by first and outward appearance. And I think that’s the day I became a country boy at heart and began to appreciate the harvest scented breezes, truly heard the barn swallows for the first time in the late afternoon before sunset, smelled the richness of the soil, and enjoyed sitting on a hay bale talking in the barn with Haystack Harry, an honest-to-goodness scarecrow. It was from that day on that I began to actually look forward to and enjoy spending a lot more time on the farm in the open country air, and all things outdoors with nature. And visiting with Haystack Harry. Yes, it was a Sunday. 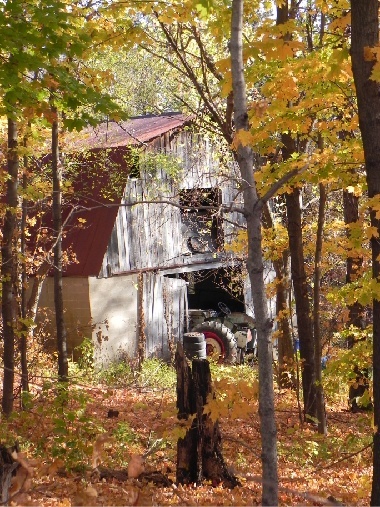 That warm October Sunday on the farm so many years ago that I first met my friend — Haystack Harry. The kind-hearted, loud-voiced, faster than fast, not-so-scary scarecrow with a master talent for stacking hay bales. And a friend to crows. If you’re out in the countryside on a late summer afternoon and see a red streak blazing across a field, take a closer look. It might be lightning. But it might just be Haystack Harry. You’ll know him if you see him. He will be the amicable looking scarecrow with a big smile and bright red tennis shoes. Likely somewhere near a hay bale. Might see a crow or two on his shoulder. But do keep a sharp eye though. He’s gone in a flash! If you enjoyed this story, you may also like “Susie’s Bear”, a heartwarming short story about a very sick little girl and her grandmother’s persistence to make her well again, set in the depths of the Great Depression. Register to follow my Writing Pages to be notified of every new post! With the help of patrons, we are able to monthly donate print copies of “The Adventures of Little Red Bear: The First Holler!” to Senior Citizens, School Libraries, and to those who could otherwise not obtain a copy. I loved your story about Haystack Harry Jim. As a city girl I never got o meet a Haystack Harry or a Tin Man and wonderful life in the country. Thank you for a sweet story. Pingback: A Short Story — “Haystack Harry” | Fairy Tales Imagery, Inc.
Hi James! I enjoyed this story so much! 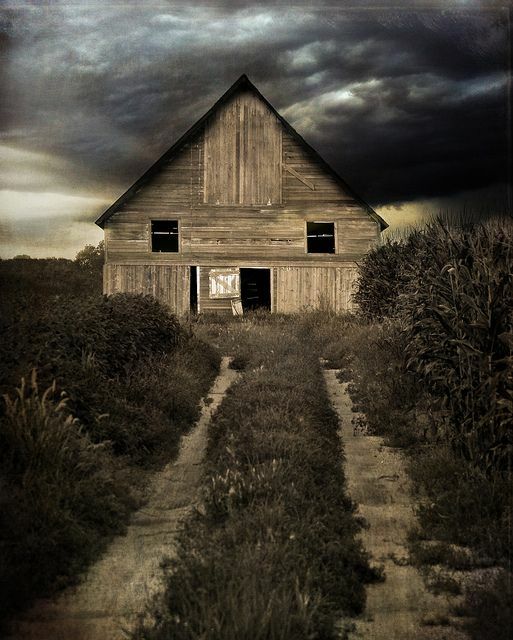 I too am from the Midwest and have often thought what fun it would be to have someone write a tale about what goes on in those old barns out in the fields. The first thing that came to mind is that this would be a wonderful read-aloud in a classroom. Better yet, from a storyteller! I’m not sure if you have looked into to this, but oh how the children would love that! I also was taken in by all the beautiful fall images! Thank You for your inspiring comments, Rosie. I am so happy you enjoyed the story! Your comments made my day! I do not get out to do storytelling, but if you do and would ever be inclined to share, please feel free to do so with any of my stories, with my blessing to all the kids. Thank you James! I will be sure to pass on your name if I happen to run into a storyteller. I have seen many throughout the years in the schools. The children and adults enjoy that so much. Keep your stories coming! They are great! What a precious and adorable story, Jim, thank you! I think it could be a whole book, perhaps for fourth graders, divided into several chapters. I enjoyed it very much.